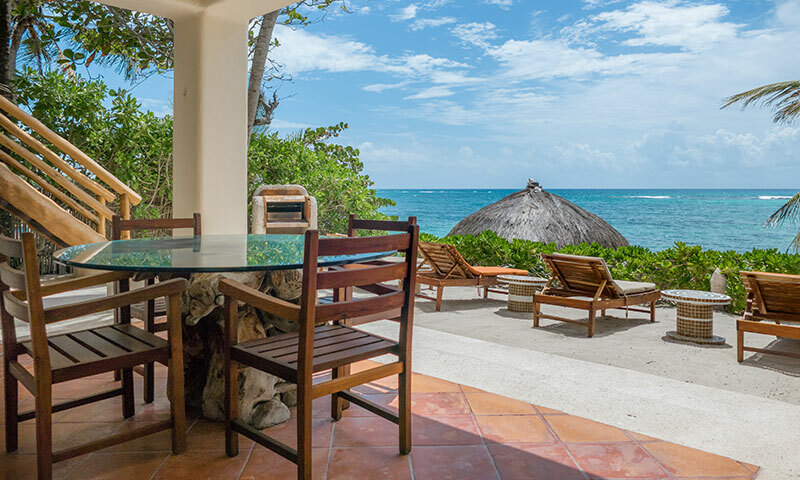 Villa Akumal Sunrise is situated two miles south of Akumal, Mexico, on a beautiful white sand beach with terrific views of the Caribbean Sea. 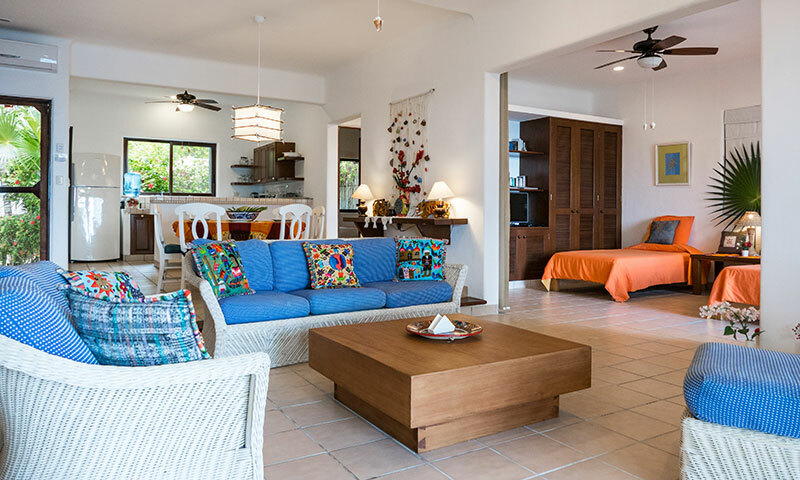 Enjoy a relaxing, tropical vacation with friends or family in this 2,500 square foot home. 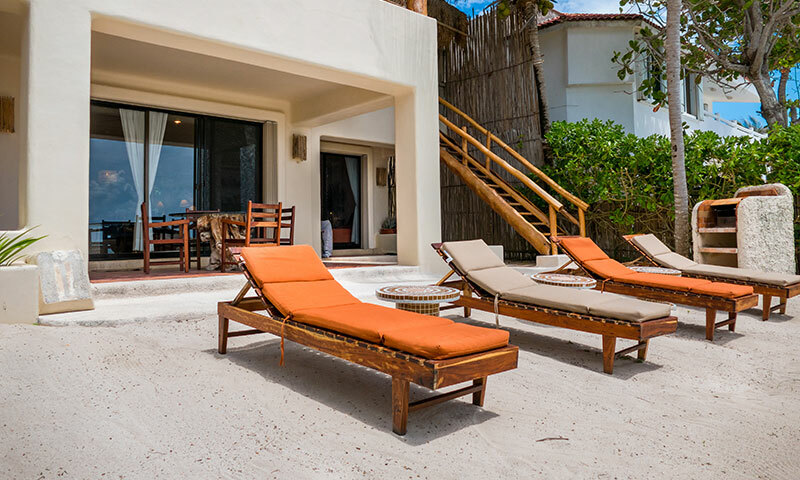 The beach side outdoor area boasts over 40 feet of shaded terrace, so there is plenty of room to spread out. 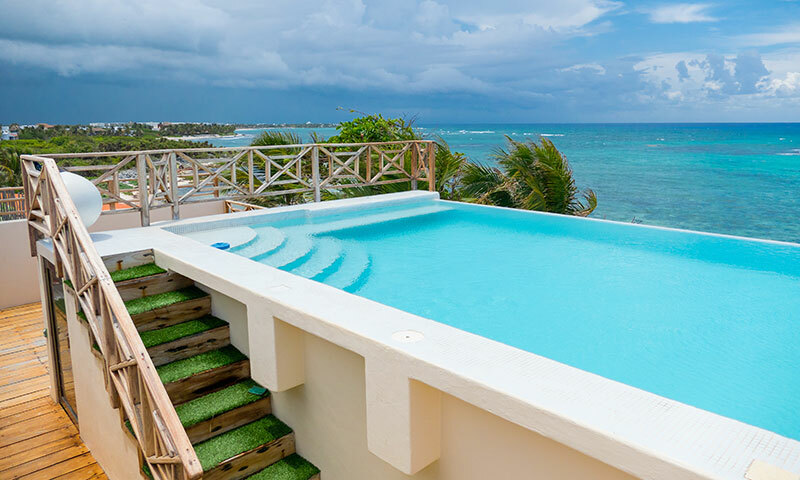 On the roof is a magnificent rooftop infinity pool that looks out over the water. 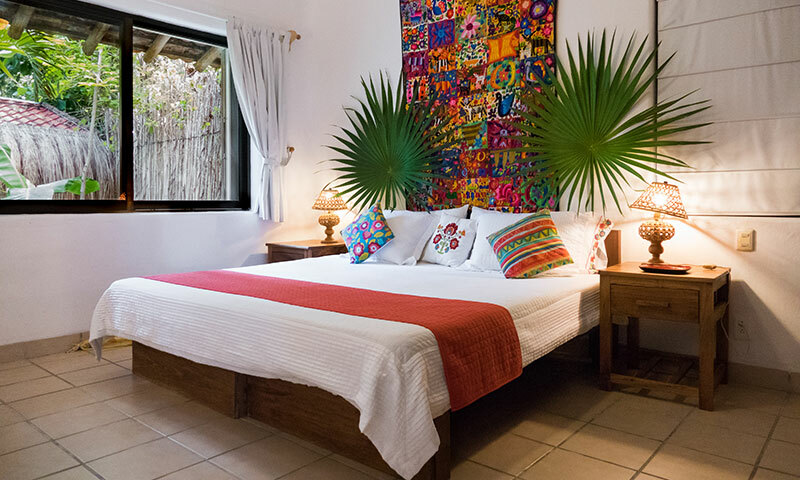 The villa has two bedrooms, each with a king-size bed. 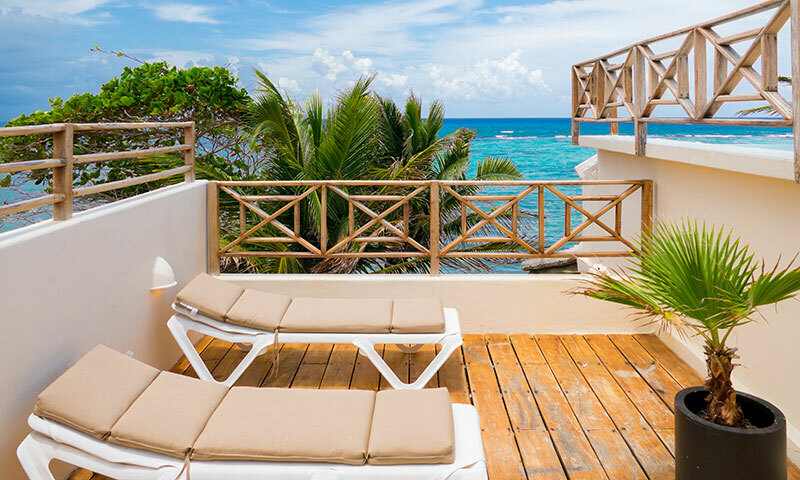 The ocean view master bedroom has glass doors that open right up onto the patio and beach. 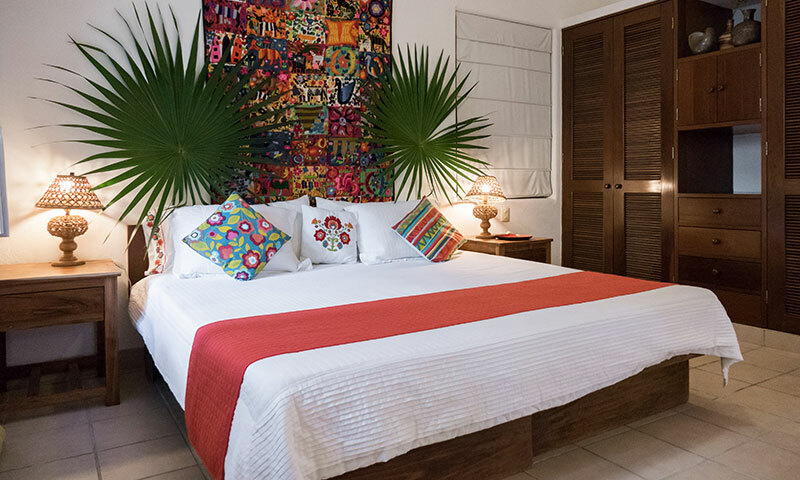 The guest bedroom has a lovely garden view and shares a bathroom with the entertainment area. 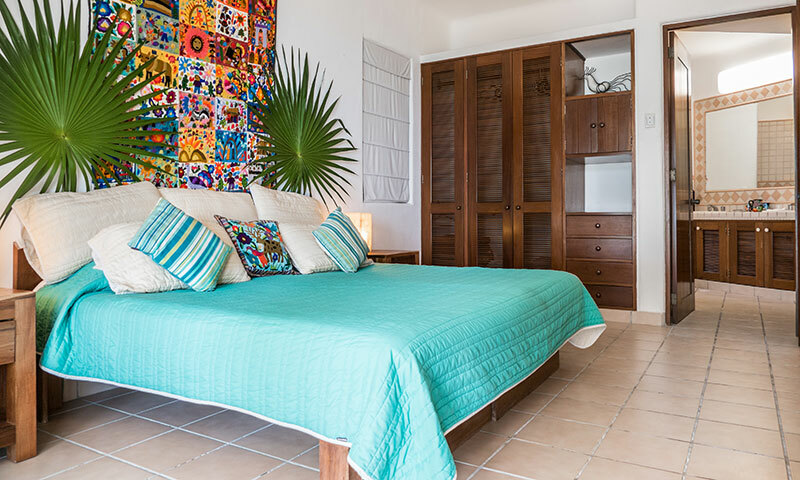 In the ocean view entertainment area/studio you'll find satellite TV/DVD player, CD/stereo, along with two single beds for extra sleeping accommodations. 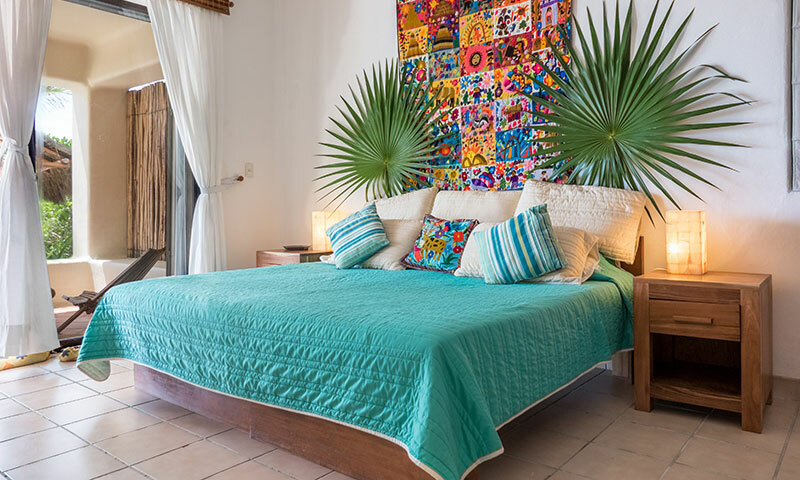 This room can be separated from the living room by twin bamboo floor length blinds making this a great option for the kids. 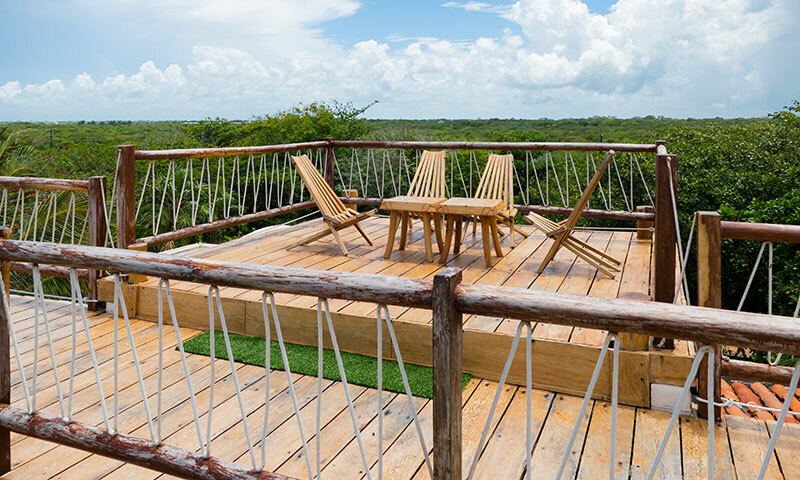 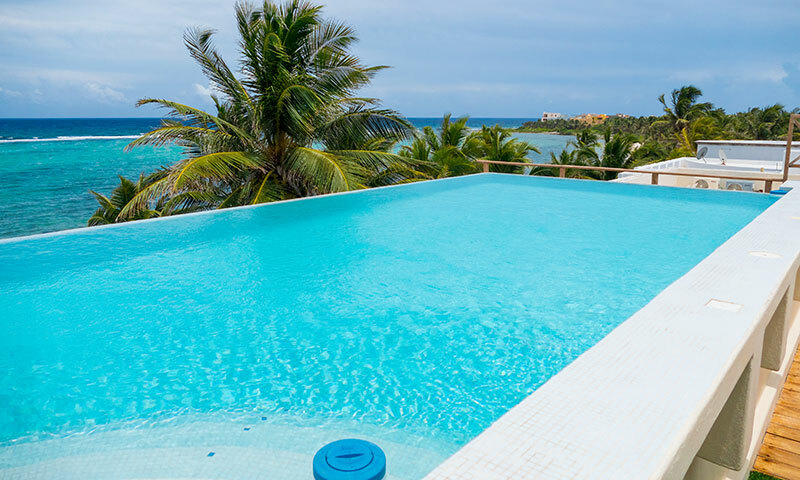 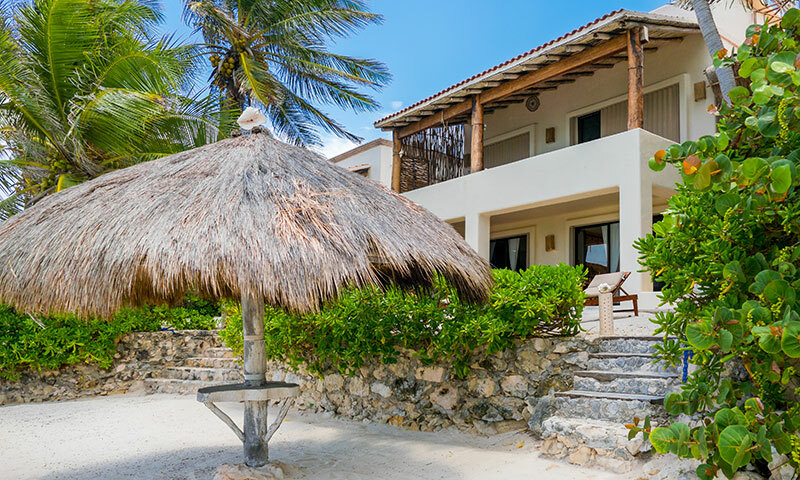 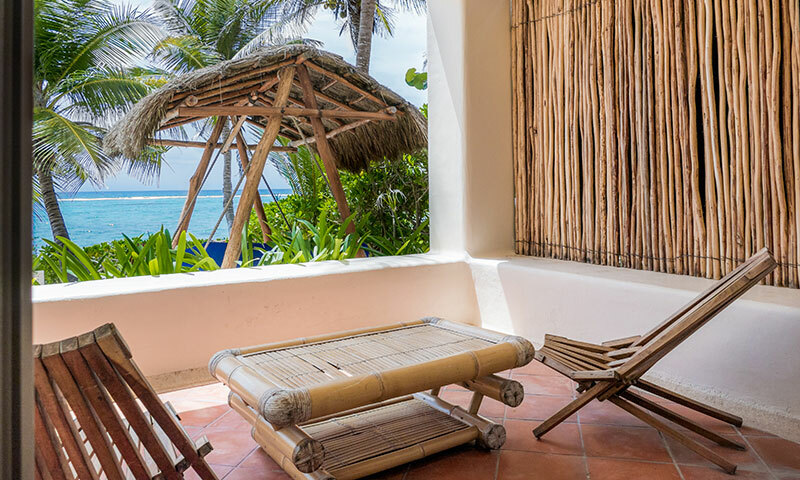 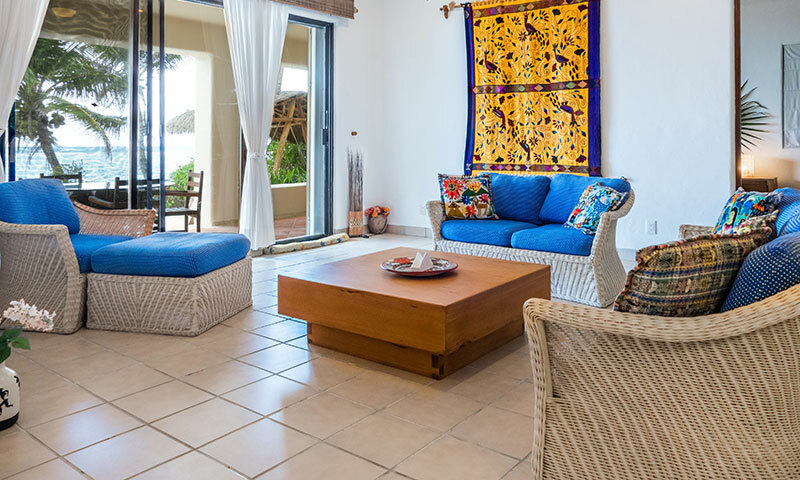 This Riviera Maya vacation home has central air conditioning, high ceilings and tropical style white rattan furniture. 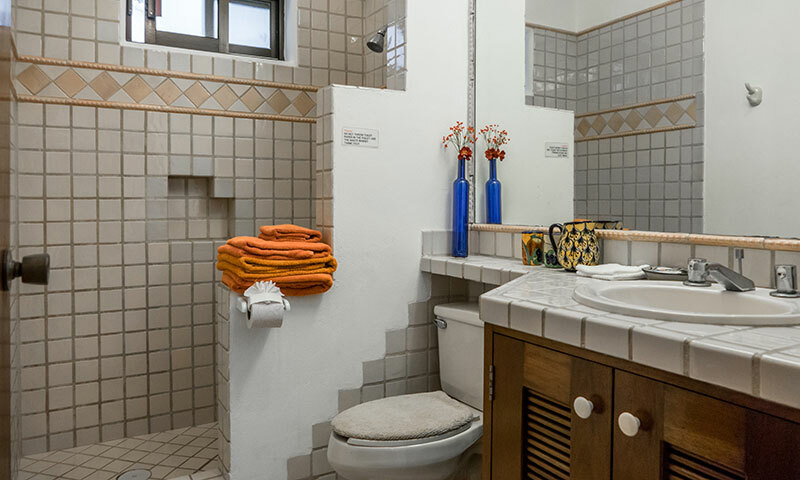 Wireless internet is available for guest use. 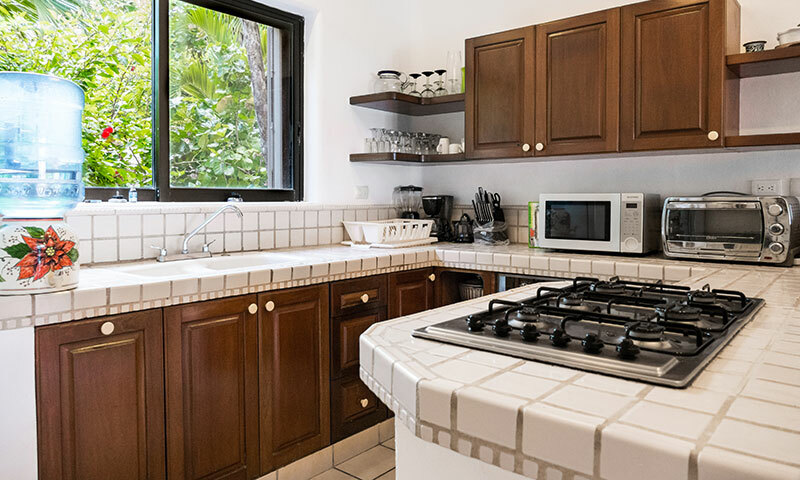 The modern kitchen is fully equipped with a gas stove, electric oven, microwave, toaster, coffee maker and cooking utensils. 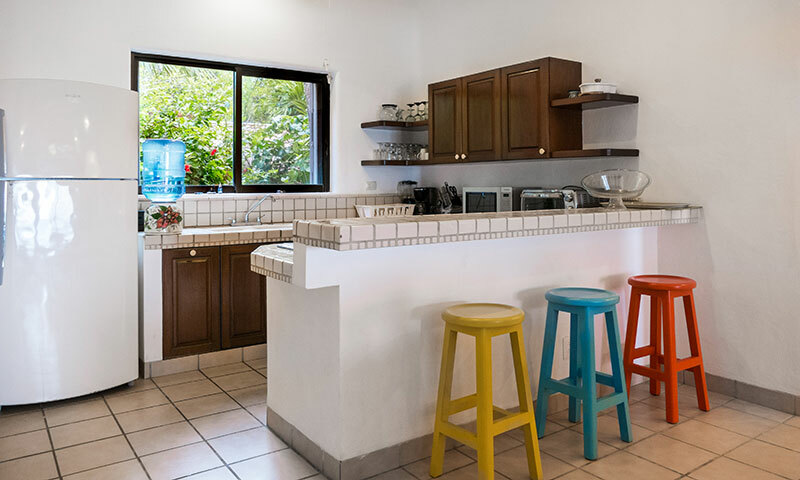 There is a breakfast counter with bar stools. 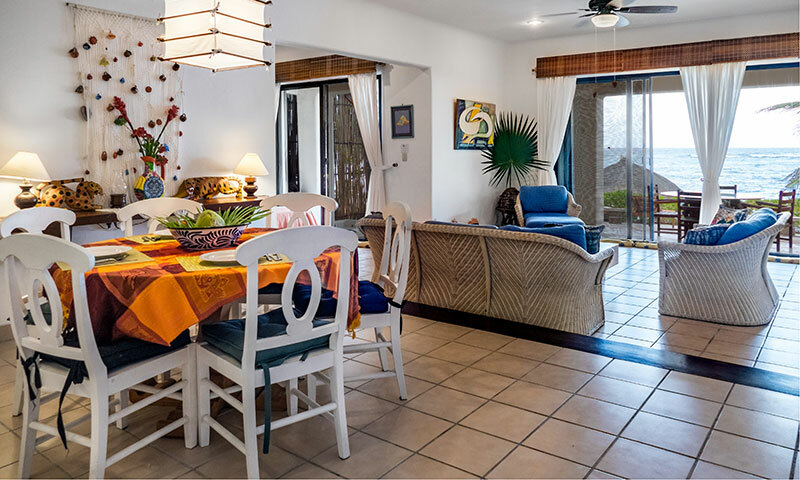 The indoor dining table seats up to six guests. 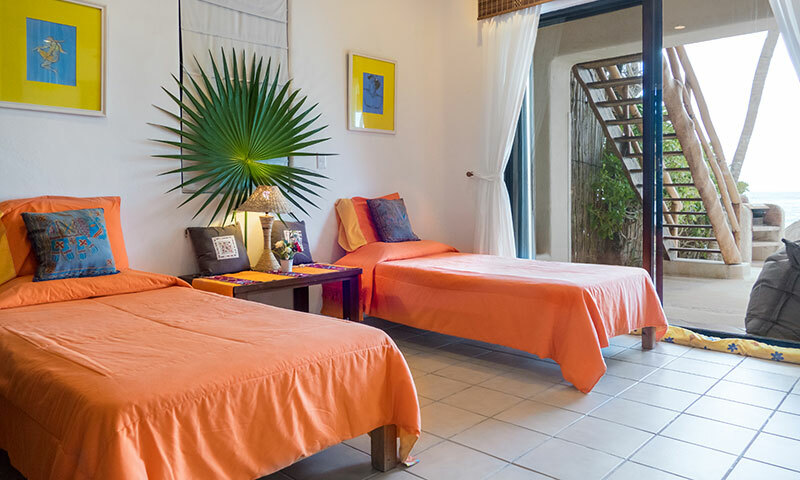 Villa Akumal Sunrise offers daily maid service. 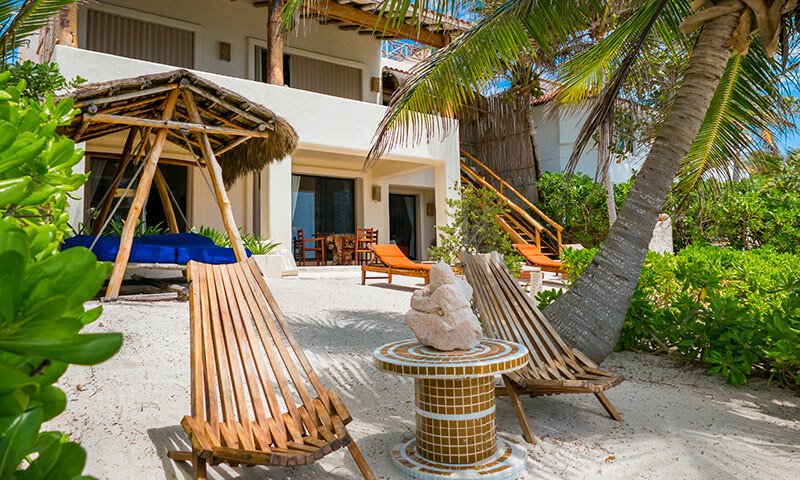 Outside the large patio area has a covered dining area and there are four chaise loungers on the beach. 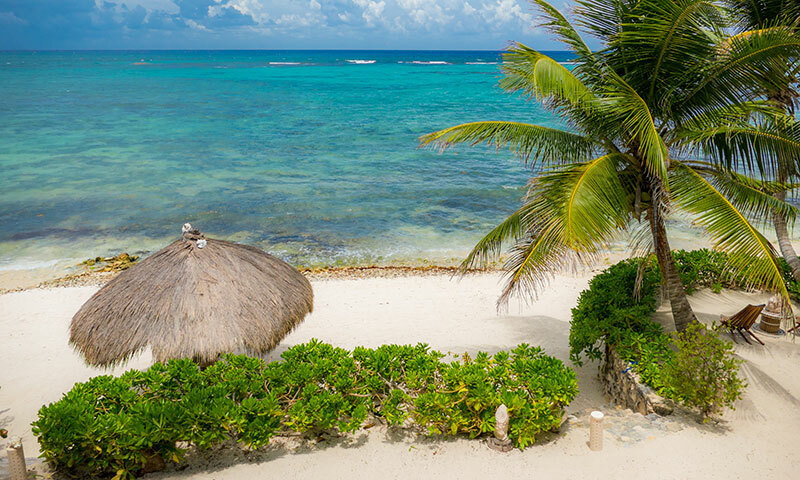 South Akumal bay is a reef protected bay and offers calm and clear snorkeling and a plethora of tropical fish. 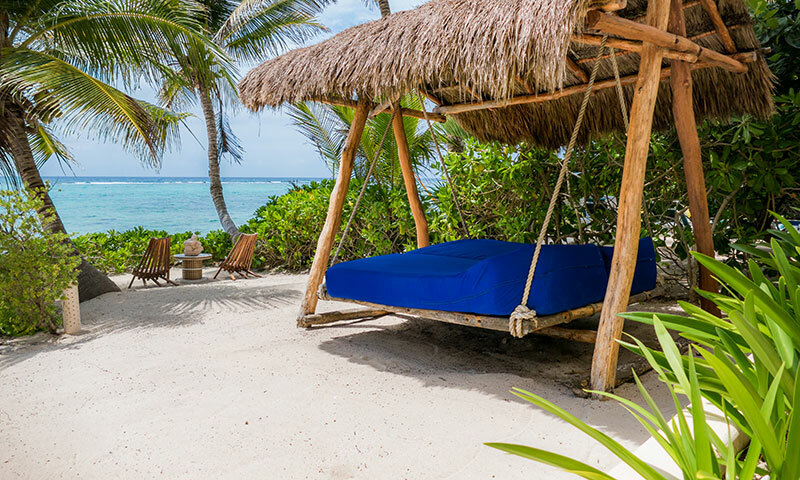 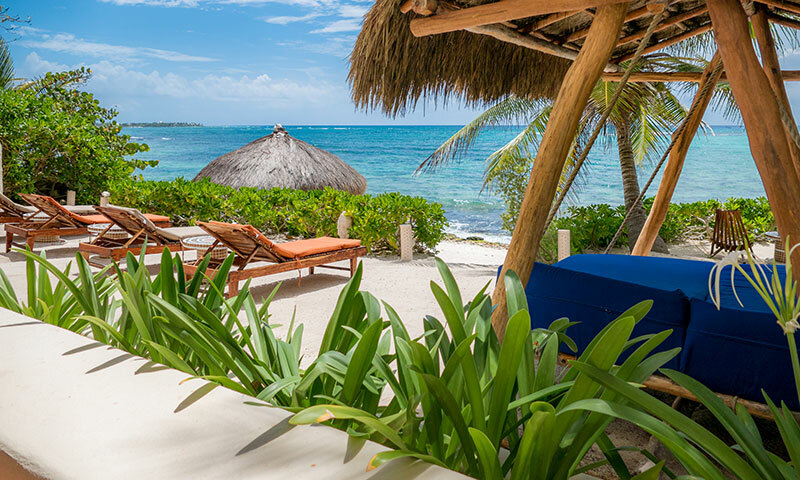 On the beach area, enjoy the shade in the suspended double beach bed under a thatched palapa roof or relax with a Rum punch in a hammock beneath the palms. 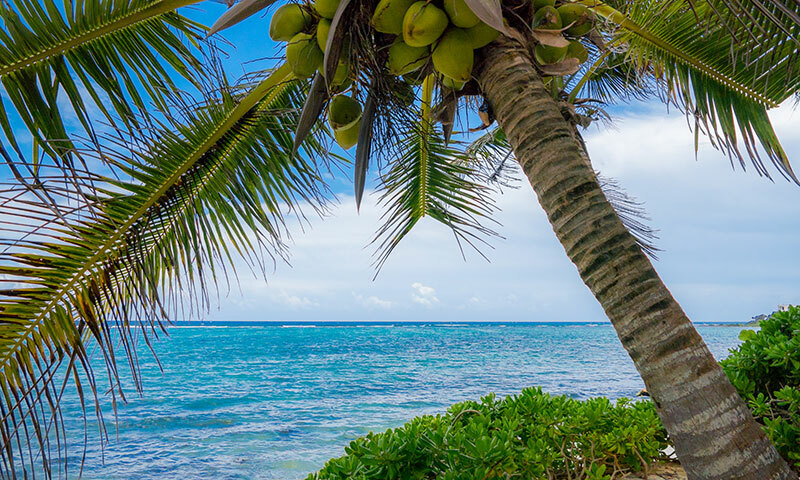 Kayaks are available for exploring the bay. 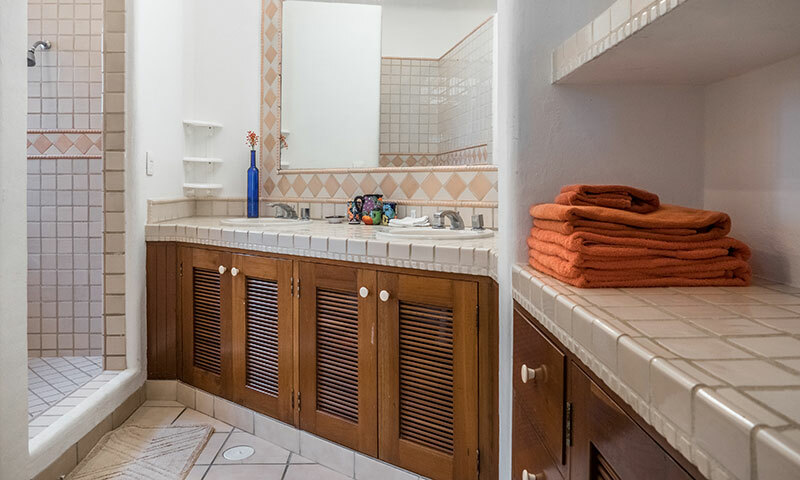 Villa Akumal Sunrise even has an outdoor shower to rinse off in. 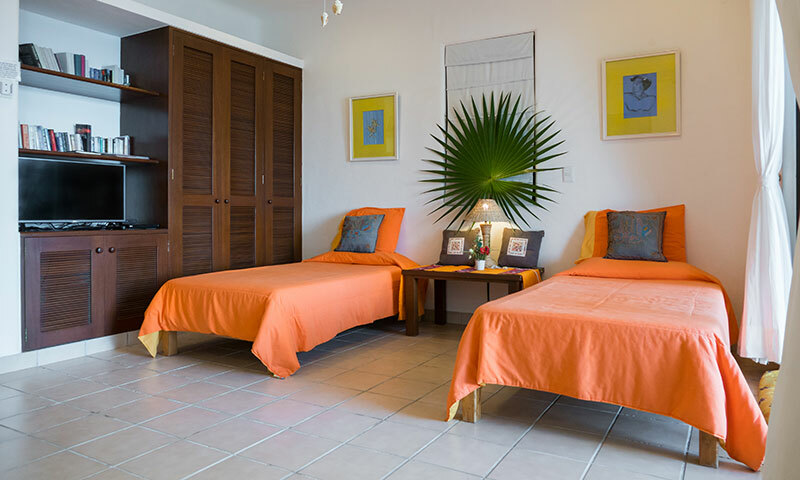 This South Akumal vacation villa is located in a gated, residential community that is quiet and private. 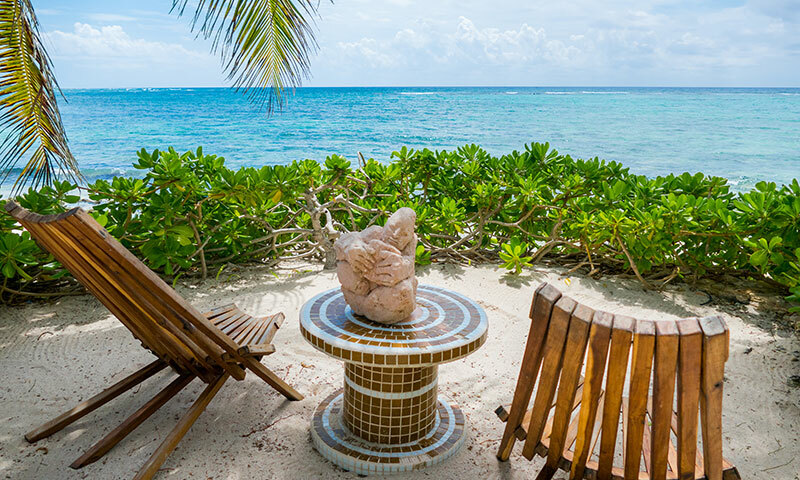 A quick drive two miles north or a more leisurely beach walk brings you to the village of Akumal, with its restaurants, bars, sailing, diving, fishing and other activities. 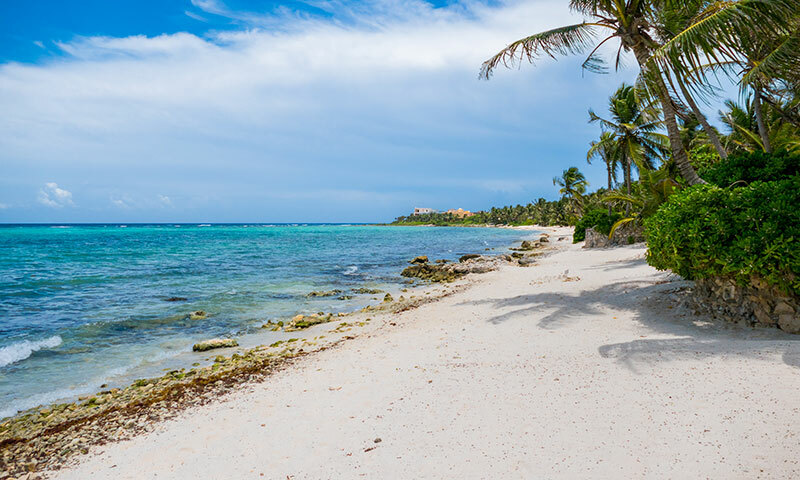 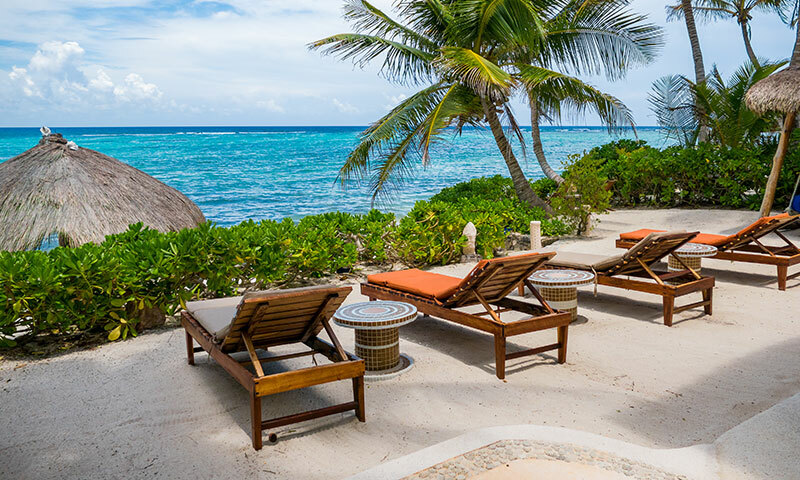 Akumal, Mexico is in the heart of the Mayan Riviera, making it the perfect location from which to explore the numerous cenotes, Mayan ruins, caves and other attractions the coast offers.